I couldn’t post this on Thursday or before since I hadn’t made it and didn’t know exactly what I was going to make too far in advance! However… The food was delicious even though I was only responsible for 3 different sides! Thanksgiving foods tend to be traditional in that families have their tried and true…. but these recipes are still great foods for any day of the week or for Christmas which will be here before we know it! Firstly I made a super simple cranberry salad. TOTALLY NOT my typical cooking style, but canned cranberry sauce was requested by the in-law family and who am I to disappoint. I just had to add a few things to make it a bit more interesting! I opened the two cans of cranberry sauce and dumped them in a bowl and mixed it up till it was smooth. Then I opened two cans of mandarin oranges, drained the liquid and added them in. Lastly I sprinkled some toasted pecans over the top. It was nominated a favorite by kid and adult alike. I think it was one of the first dishes finished! However… I must say I like homemade cranberry sauce, but not the canned. I also don’t like mandarin oranges… so needless to say you wouldn’t have found any of it on my plate I’m sorry to say! So officially I can’t say it was fantastic, but the traditional american family thought it was great…. 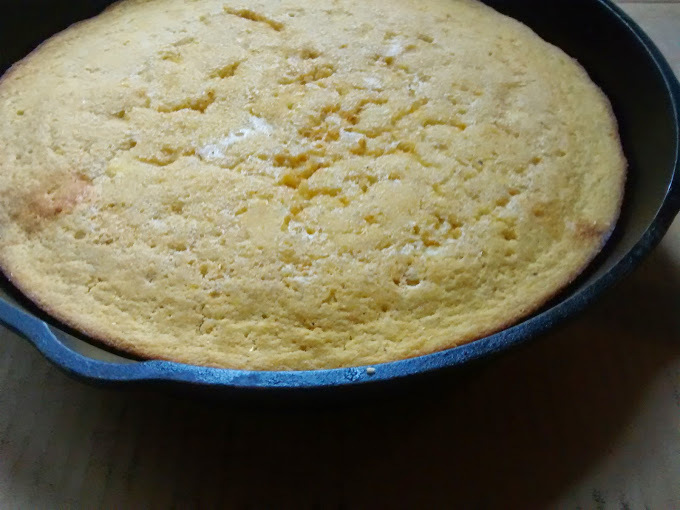 The second dish I made was two pans of cornbread. I found a recipe a few months ago for gluten free cornbread and it was easy enough to make it dairy free as well! It’s super simple to mix up, and doesn’t take long to cook. It does advise to bake in a cast iron skillet and I definitely agree! Part of the reason I made two pans, was that I only had one cast iron skillet. It definitely tastes better and cooks better in it! The recipe calls for milk and I usually add almond or coconut milk. Full fat coconut milk is delicious when added to this recipe, but not needed, almond works just fine. Also, in place of the butter I usually use bacon grease which gives it an AWESOME flavor, but my sister-in-law is vegetarian, so we just used coconut oil this time. It still turned out delish! Lastly I made a favorite of our family! EVERYONE loves it and I remember having it as a child (but of course it was full of gluten and dairy!)! Pineapple bread pudding! I add ½ the sugar called for and it’s still SUPER sweet! I remember having it served at dinner and thinking as a kid it was good enough for dessert, but SO much better as part of dinner… then I could have seconds and thirds without having to ask! I hope you had a fantastic Thanksgiving dinner with family! And enjoyed some of your favorite foods! I’d love to hear about one of your favorite traditional dishes!! Oh! And here in northern VA we had snow! Just a dusting and nothing like the north east received! But it was still beautiful! This is from my bedroom window Thanksgiving morning! Next Left Over Turkey – What to do with it! I plan on trying your pineapple pudding! !